Forward House nurtures mental wellness through creative programs, relevant education, and dynamic community partnerships. Provides varied and meaningful opportunities to adults in Vancouver Island's District 69 who have mental health challenges and may have concurrent substance use issues. Enhances social, vocational, and independent life skills through psychosocial rehabilitation practices. Provides community education around mental health and addiction issues in order to promote healthy support systems and community inclusion. Creates partnerships with community stakeholders and liaises with health and education providers to promote mental wellness in Vancouver Island's District 69. In 1982, we established a crisis line for people in Mid-Vancouver Island. What started off as a seed of hope for a few people over 30 years ago has flourished into Forward House - one of Vancouver Island’s best psychosocial rehabilitation programs for people living with mental health challenges. In 2001, we became a registered charity and moved into our own house on Jensen Avenue. After outgrowing this location in 2014, we moved into our lovely blue home at 136 East Hirst Avenue. From 2014 onward, our Forward House family has expanded significantly. Our clients range from those who are struggling to survive to individuals who are volunteering, attending university, and working in our community. 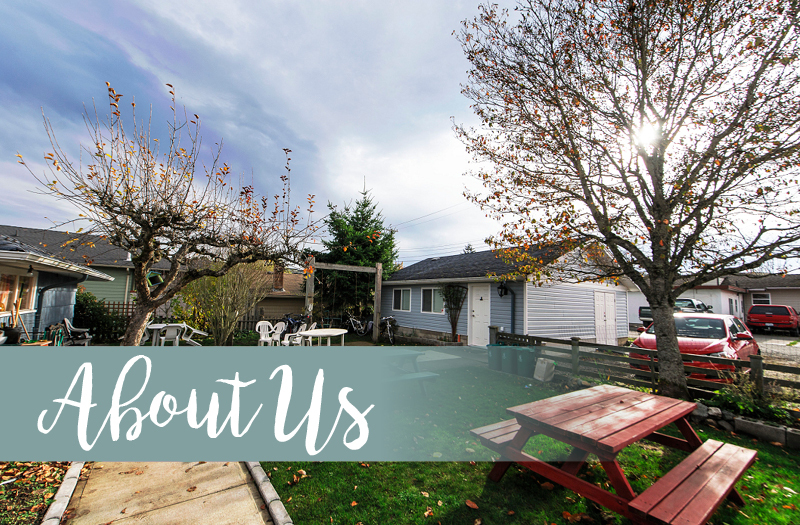 Our team of staff, volunteers, practicum students and Board of Directors serves more than 80 registered clients as well as many drop-ins at our Parksville location. In March 2018, we were greatly honoured to receive the 2017 ‘Not-For-Profit of the Year’ Award from the Parksville & District Chamber of Commerce at their Business Achievement Awards ceremony. In April 2018, we were pleased to announce the ‘Forward House Fridays’ program at Qualicum Commons in beautiful Qualicum Beach. This satellite location offers outreach for potential clients who cannot travel to our house in Parksville. In April 2019, we expanded our ‘Qualicum Beach Outreach’ program to two days: Thursdays at St. Stephen’s Church and Fridays at Qualicum Commons. This was made possible through generous community donations. The Forward House team is certified with Safe Harbour's award-winning diversity and inclusion education program for the workplace.